Direct Flights to the Southern Safari! 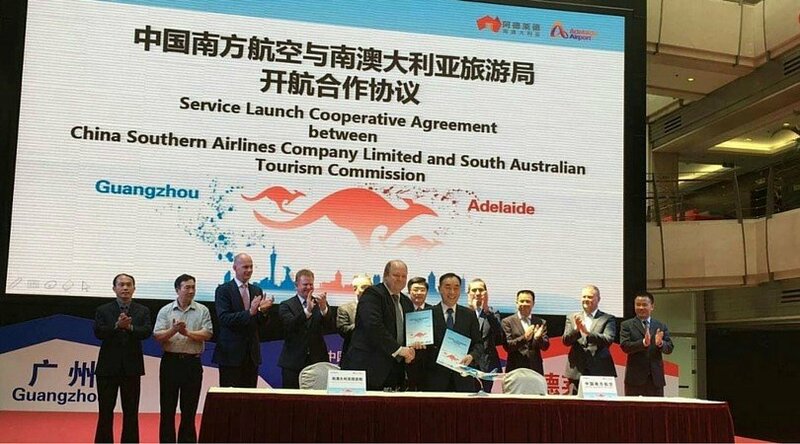 The South Australian Tourism Commission has announced that an agreement has been signed today between the SA Government and China Southern Airlines, securing direct flights between Adelaide and mainland China. The airline will operate three direct flights per week between Adelaide and Guangzhou beginning in December 2016. The announcement will make it easier for Chinese visitors to join North Star's Southern Safari which departs Adelaide in January. For more information contact your preferred travel representative or the sales team at North Star Cruises Australia.